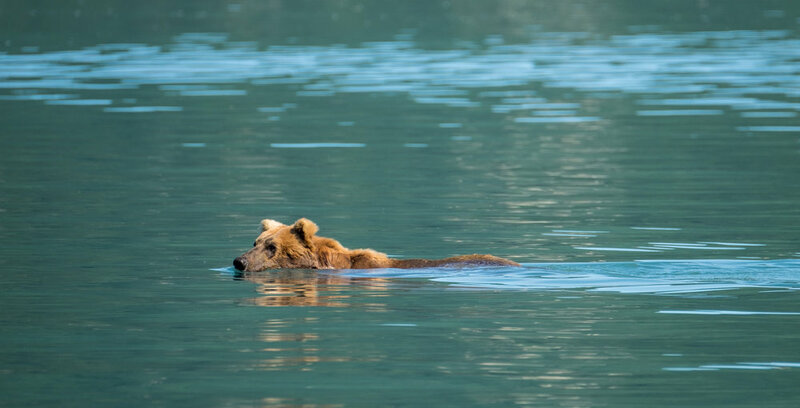 As we started to write this article, it became immediately clear that having some knowledge of bear basics would be key to understanding how exploring a place like Katmai is even possible, and how we as visitors are able to get so close to the feared, albeit mesmerizing, 1,000 pound beasts. 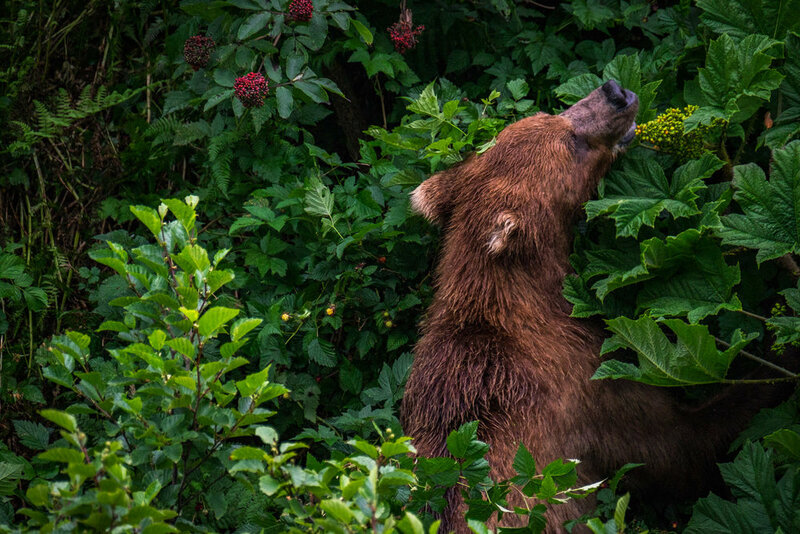 To address that (and to have a bear reference for future Alaska parks that are teed up on this site) we wrote comprehensive article describing the atmosphere of bear country—Bear 101: Exploring and Staying Safe in American Bear Country. If you want to know about bears, check out that article. 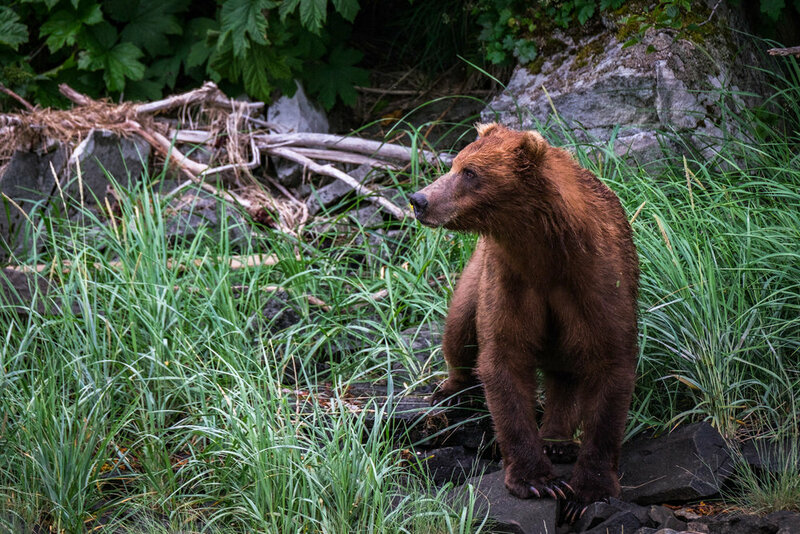 If you want to know about Katmai as a travel destination, read on—we've outlined below details including when to go, what to do and see, where to stay, how to get there and around, and what to expect while there. 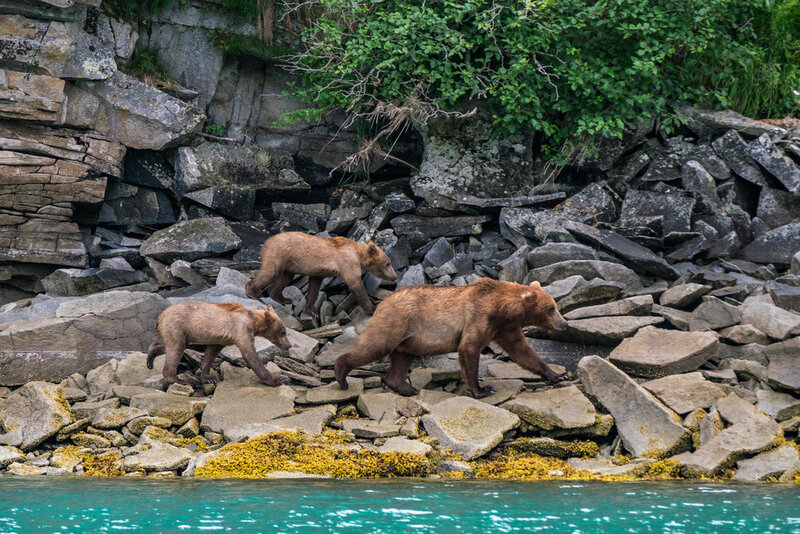 What to do and see: In Katmai, bear viewing is the star of the show, but that's just the start. 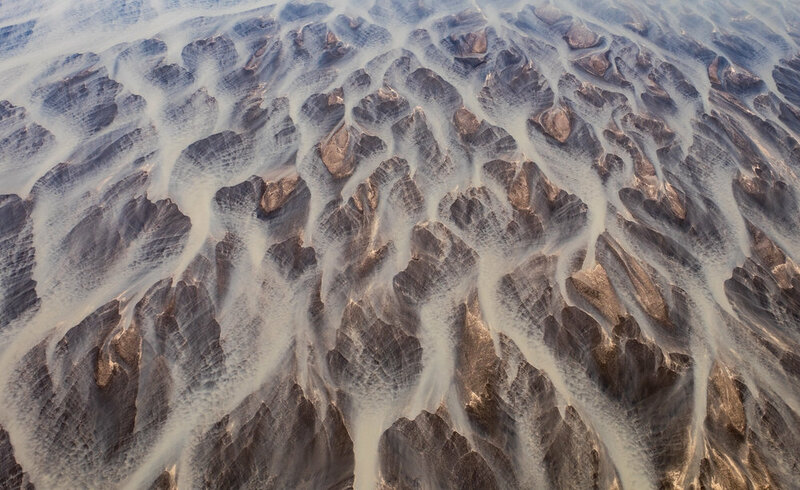 You'll find upon arriving that the environment, the habitat—the context—is equally compelling. 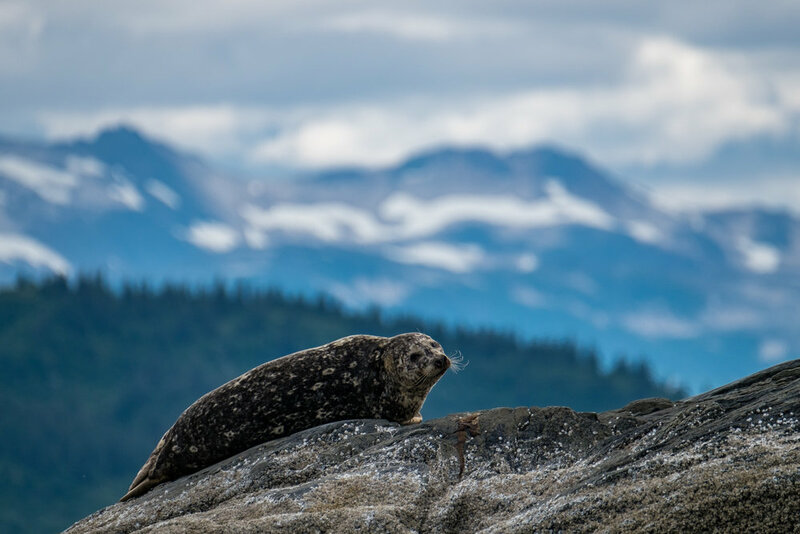 Other wildlife viewing opportunities will fill your days in the moments that are bear free, as you are also in the habitat of moose, red fox, the rare "cross fox", sea otters, seals, bald eagles, puffins, and other birdlife and coastal wildlife. 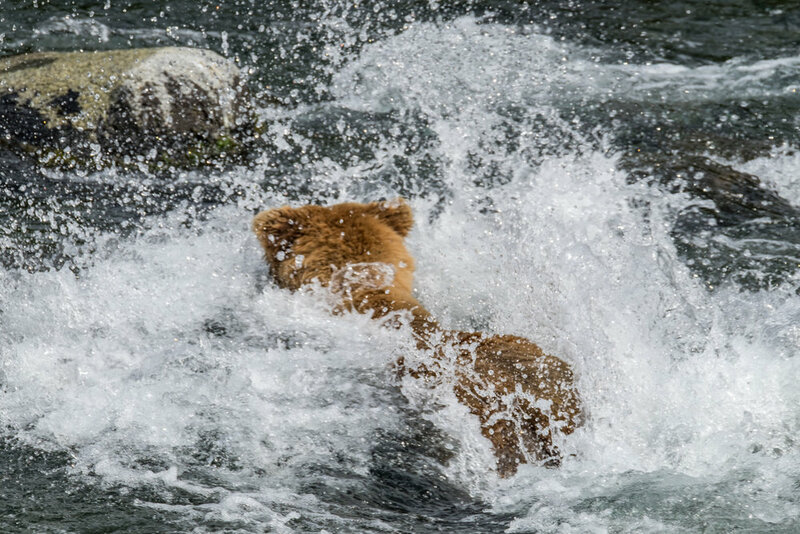 Katmai is also an important habitat for salmon—whether you are trying to spot them jumping into a bear's mouth from the water or pull them up on a line, they will in one way or another become part of your exploration of Katmai. 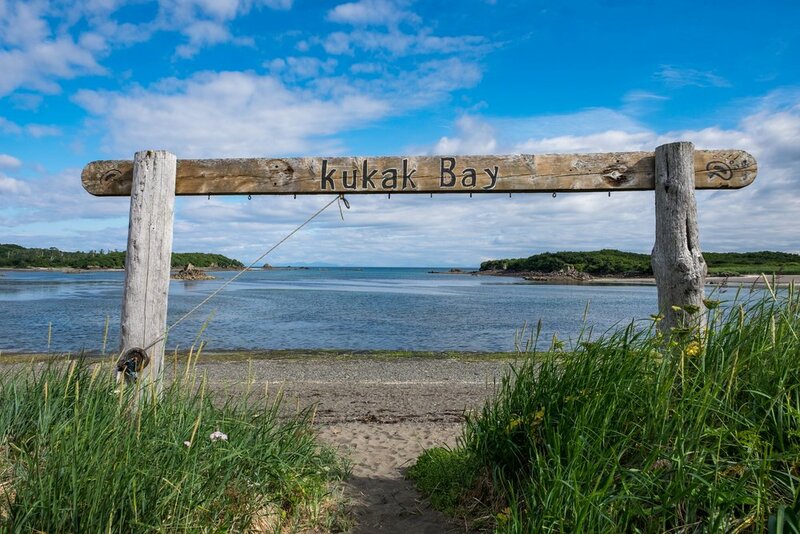 Katmai Wilderness Lodge: We spent the majority of our time exploring park #32 at the Katmai Wilderness Lodge, managed and operated by Angela and Perry Mollan who met and married at Brooks Falls more than 20 years ago. By their side is Chris, a relative newcomer to the operation who is rich with captaining skills. 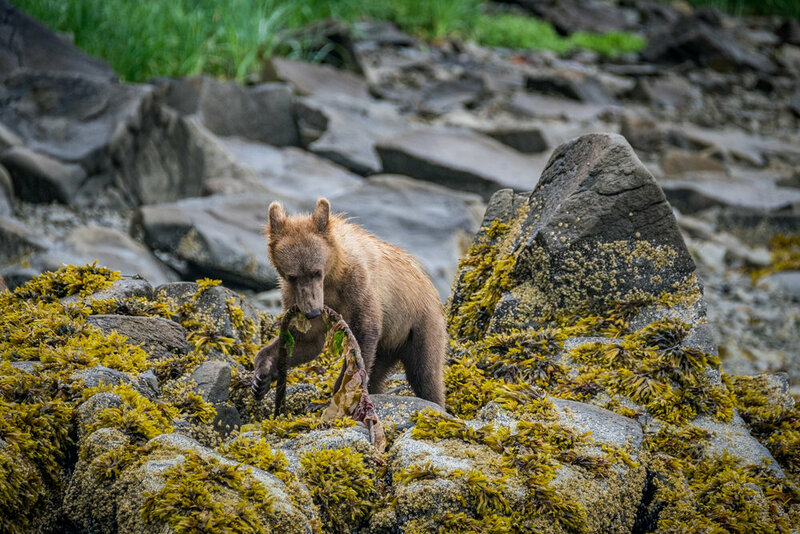 Through their collective experience, guests are exposed to a wealth of knowledge of bears in the area and can rest assured that they are getting close to wildlife in a way that is safe for all parties. 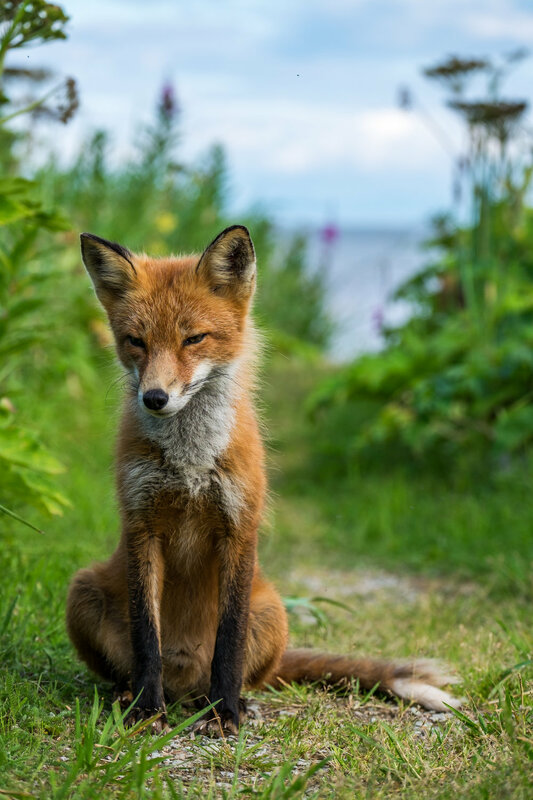 They know when, where, and how to find coastal brown bears, marine animals, birdlife, fox, as well as the elusive "cross fox"—a fox with a mutated gene that is charcoal-colored with white speckles. In the chef's kitchen in the communal lodge is where you'll find Roger, a master of flavor who served up some of the best meals we've eaten this year. And after long days, we found rest in individual cabins that overlooked the bay on the Shelikof Straight. The lodge is very popular and books out well in advance, as it should... between the good people, bear expertise, sighting possibilities, safety, and the serene coastal environs where it is all located, guests are in for a more intimate experience than what can be found at the very popular lodge at Brooks Falls. Brooks Lodge at Brooks Falls: Location can’t get any better than the Brooks Lodge located next to the famed bear viewing spot at Brooks Falls. 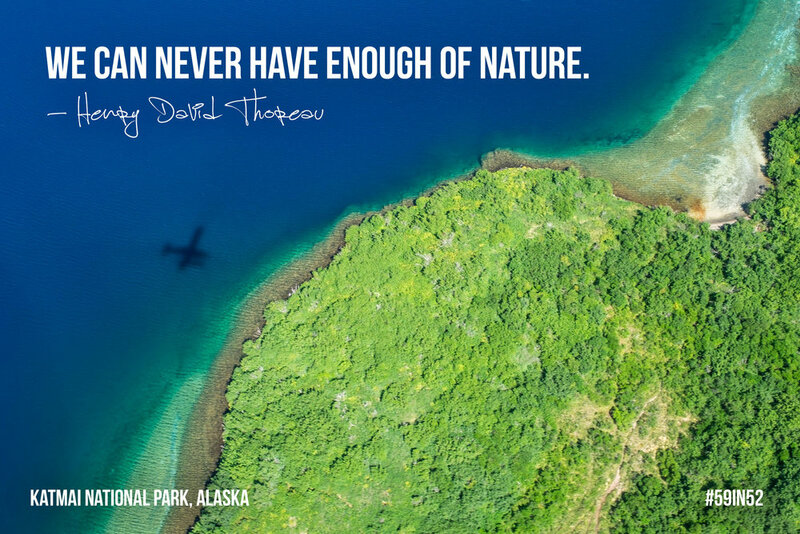 It books up well in advance and it is pricey (nearly everything is in Alaska,) ...but if you are going to visit, you might as well adopt the mentality “when will I ever be here again?! I might as well do it right.” Especially, when you know what you will see while there. 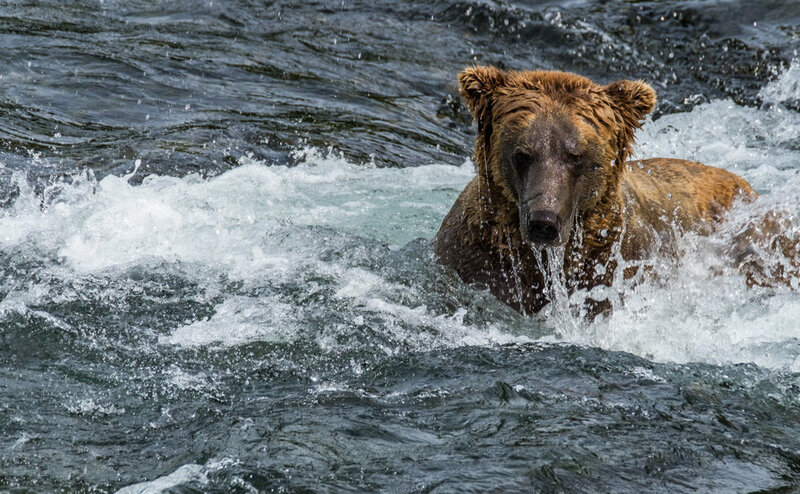 In the Brooks River and at the falls, brown bears congregate to fish sockeye salmon swimming up river as they complete their annual run. 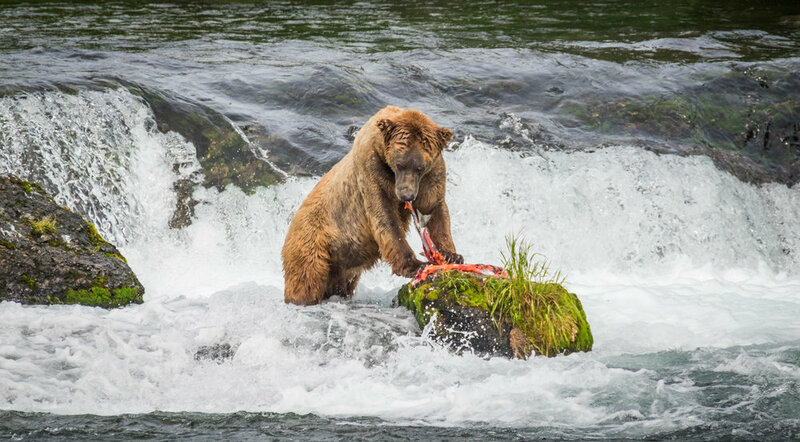 The sight is surreal: bears standing in the river, thousands of fish jumping upstream, and seagulls intent on savoring the byproduct of the catch. It is a vision that is completely alive and wild, and worth every penny in our opinion. Our bush pilot Willy Fulton from Andrew Airways—one of the most experienced in the business. You might recognize him from the Werner Herzog documentary film "Grizzly Man" which documents the life of Timothy Treadwell's experiences in Katmai. Willy was one of the regular resuppliers to the area where Timothy Treadwell, AKA "Grizzly Man," lived and filmed. Sadly, he was also the one to find the remains of his friend in 2003. 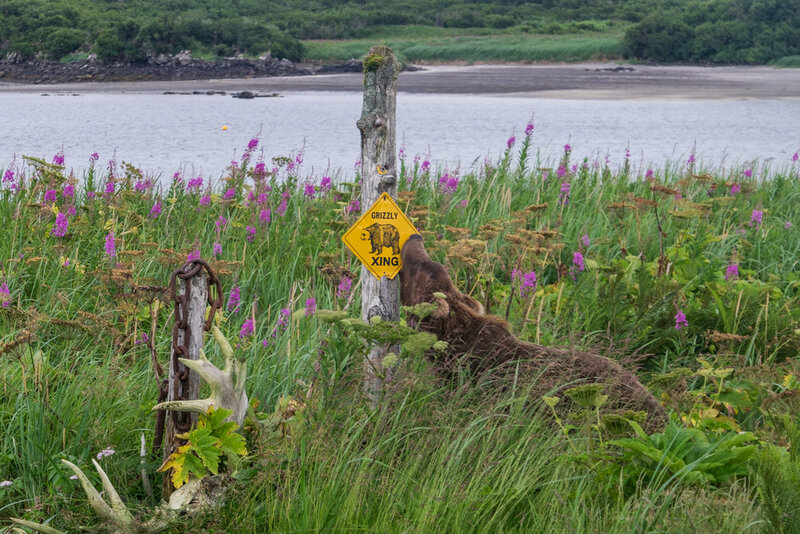 How to get around: You cannot drive a motor vehicle to or around Katmai National Park and Preserve—isn't that wonderful? Most transit is done on a float plane, (also known as a seaplane) that lands upon the water at popular destinations; and most travel once you have reached your destination is done by boat. To get to and from the Katmai Wilderness Lodge, we traveled with Andrew Airways from Kodiak Island (where we flew to from Anchorage.) Not only are their captains some of the best in the business—and in Alaska, bush plane air travel is a really big business—but they have stories about goings-on in this area of Alaska that will make your jaw drop even harder than the brilliant aerial scenery you are seeing from the windows of their vintage planes. Flying in Dehavilland and Turbine Beavers, Cessna 206, and Piper Saratogas (some specific call-outs for all of you aero-aficionados out there!) 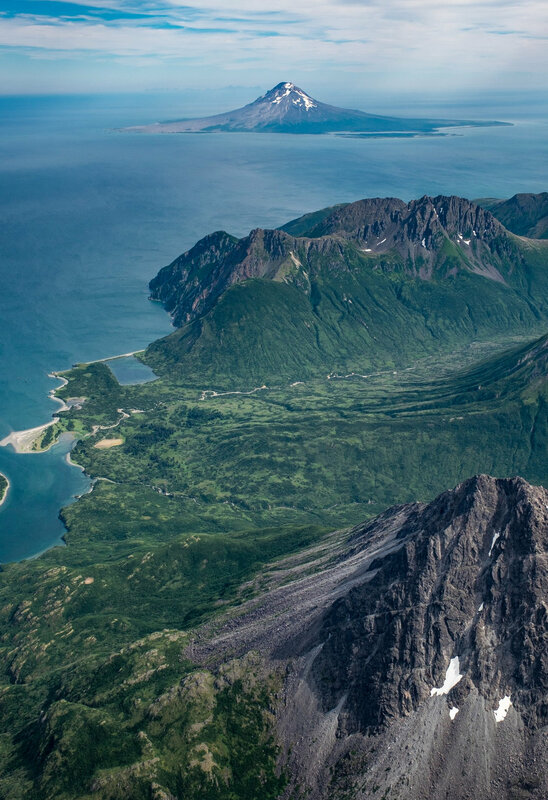 you will be experiencing Alaska by air in a very special way. 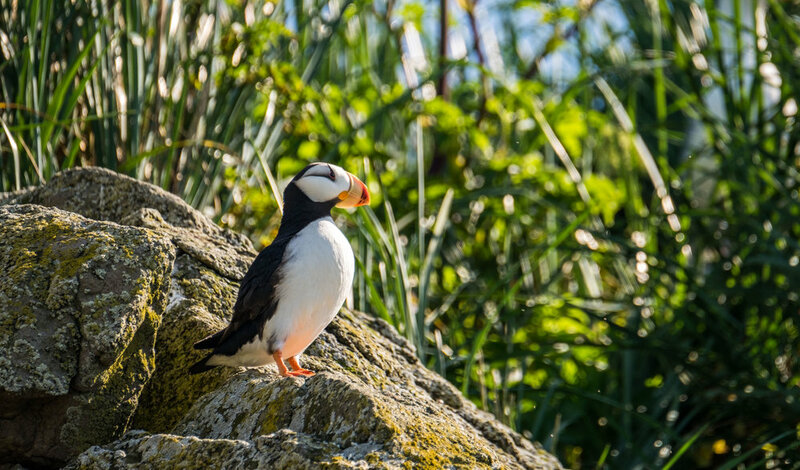 Perhaps the coolest part is your low-to-the-ground vantage point, allowing for views (and photographs) of wildlife and the landscape from a unique and beautiful perspective. 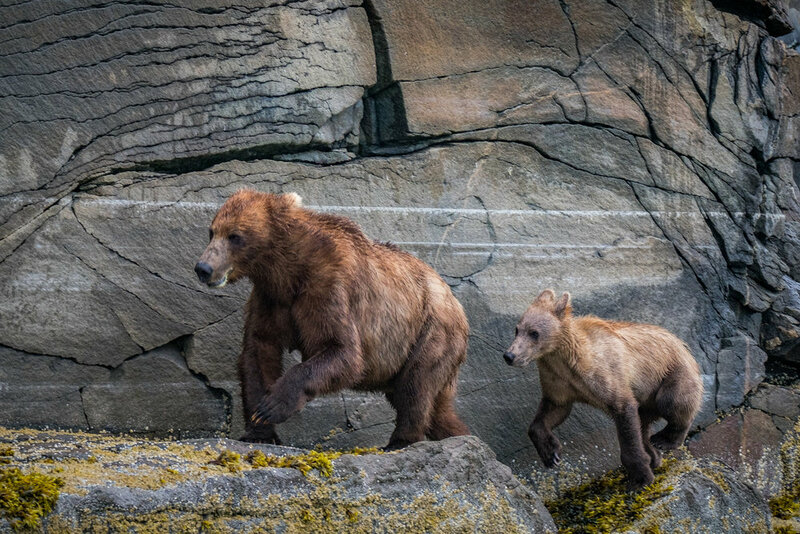 In this comprehensive article we talk about generalities of bears in Alaska including species', habitat, diet, behavior, human safety, encounters, aggression and attacks, keeping bears wild, and other general information about how to behave and what to expect in the atmosphere of bear country. While we've spent a great deal of time research this topic in the field, we submit that we are not bear experts, so please feel free to send us corrections if you see any inaccurate information. 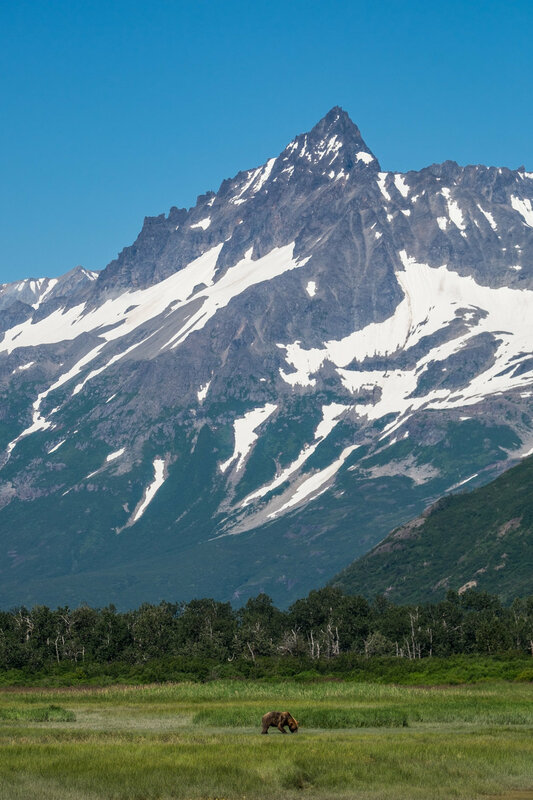 How the park got its name: The park was named after Mount Katmai, the 7,500-foot stratovolcano that erupted in 1912 forming what is now known today as the Valley of the Ten Thousand Smokes. "Katmai" means "windy/stormy" in native Alaskan Athabaskan. 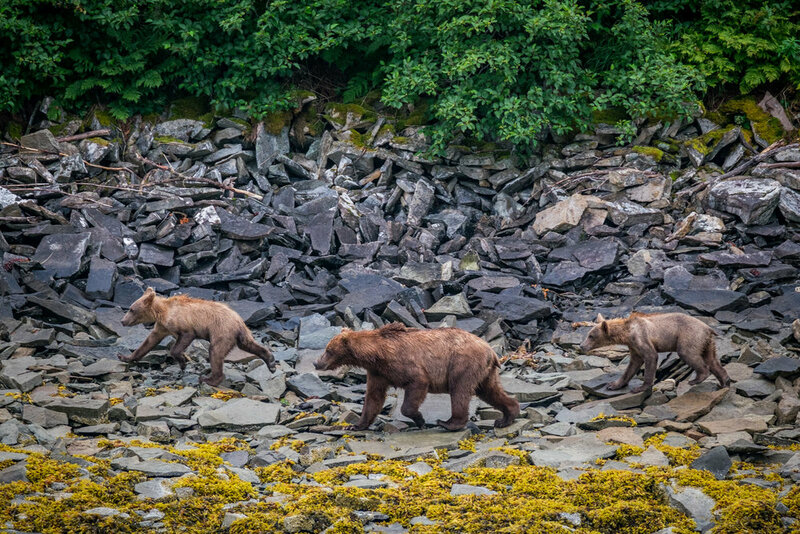 Every summer at Brooks, large brown bears congregate to paw sockeye salmon from the water as the fish complete their annual run back to their spawning grounds in the Brooks River. 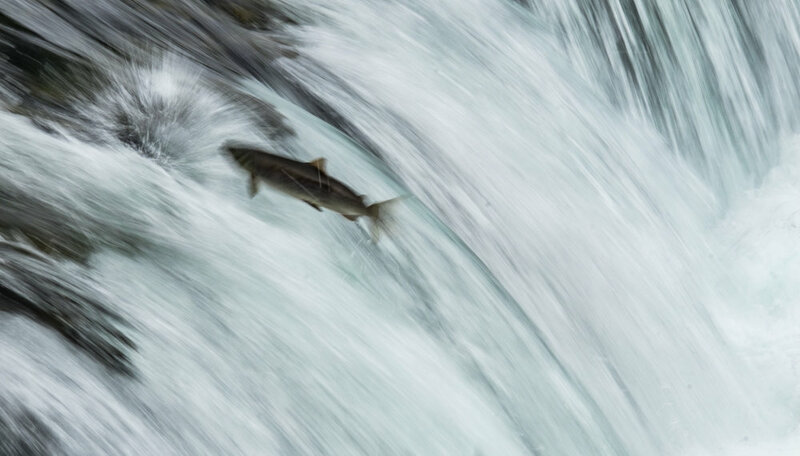 It's a wild spectacle—salmon by the tens of thousands jumping upstream trying to make it to the riverbed where they began; huge brown bears catching them in flight to eat as they ready for hibernation; and seagulls waiting in the wings for the leftover scraps. A "smack" or a "smother" is what they call a large gathering of jellyfish in an oceanic body of water (like a "pod" of whales or a "dazzle" of zebras.) 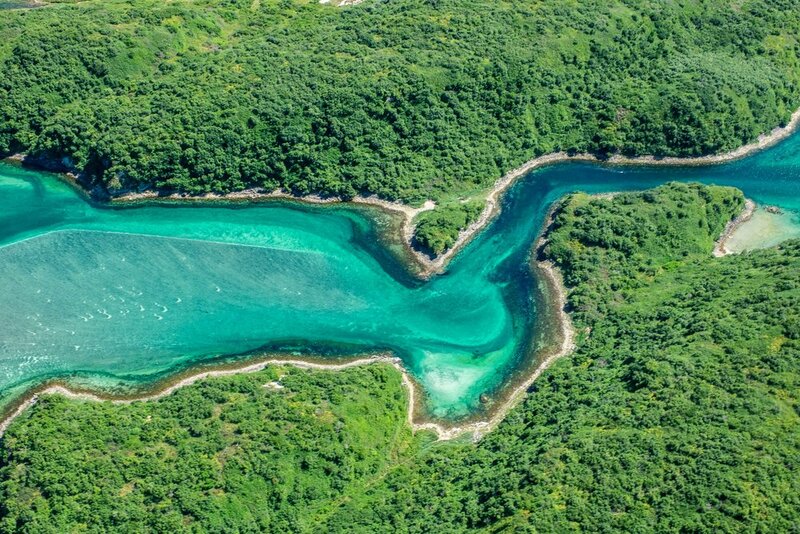 You can often see them in the Alaskan waters while flying in a bush plane, they look like giant hyperlit blobs. Any sea otter lovers out there? We are now! Here are some fun otter facts: A "raft" is what they call a large group of sea otters; rafts are usually comprised of all males or all females. Otters have small compartments in their armpits where they hold rocks to use for cracking shells, which they do so on their bellies. They like to hide in seagrass; mamas will tie their young up in the kelp for safe keeping while they dive down to the bottom of the water to fetch food. 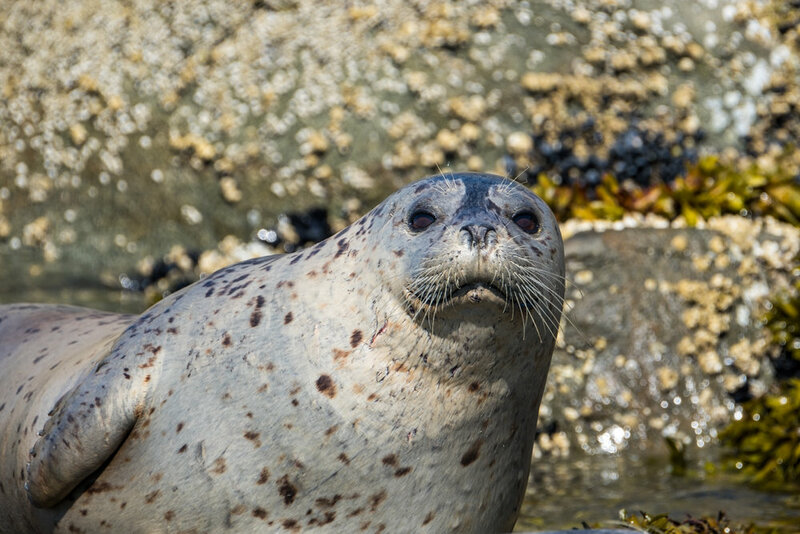 They do not like human interaction and will almost always bolt beneath the water when they see you coming. 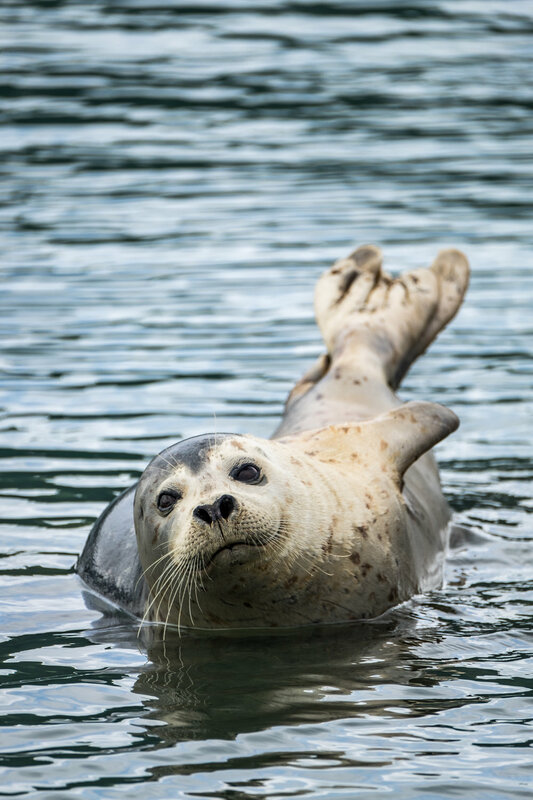 And our favorite feature: how they float on their backs and always look like they are lounging —they are doing this because their coat is waterproof and it keeps them warmer, and also helps them to preserve energy. It seems crazy that anglers would cast a line in the areas where HUGE brown bears also like to fish... but they do and they love it. A caught fish on a line, thrashing against the surface of the water, is the sound of food to a bear. 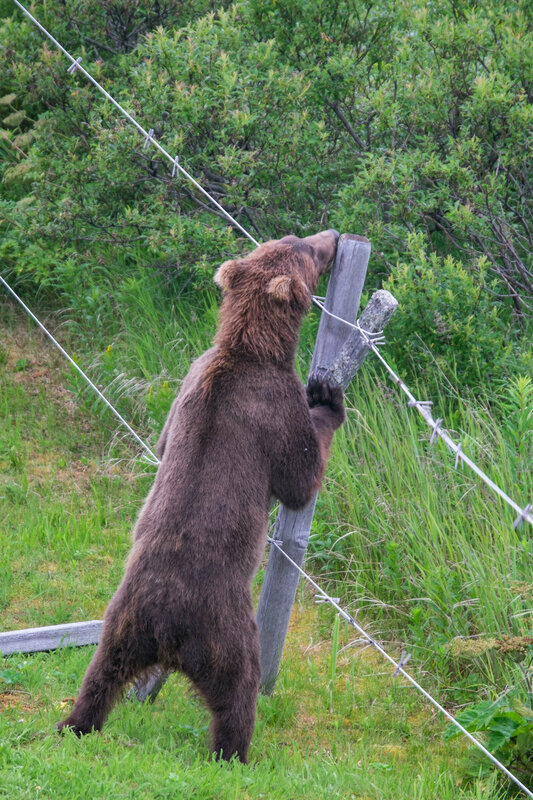 Anglers in Alaska know that if a bear draws near, you cut your line. They know to engage as much with their surroundings as they do with their sport, and to remain "bear aware" at all times. 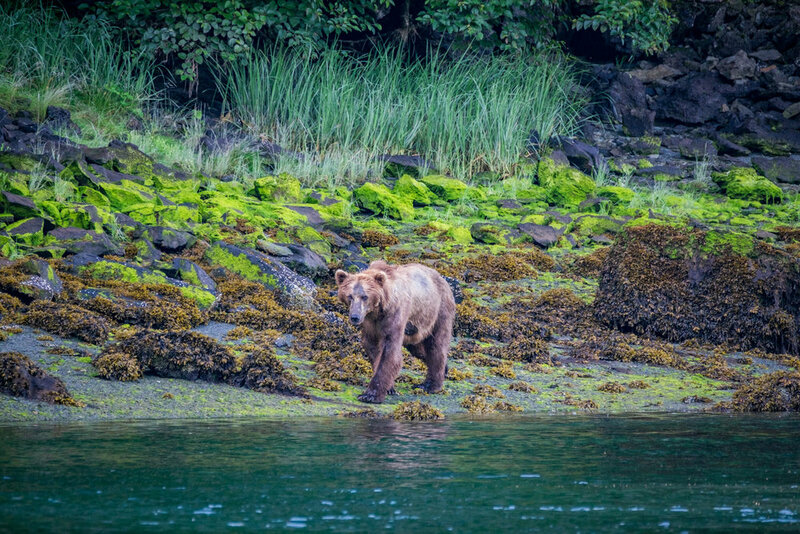 Simply put, you need to know your bear safety game to fish in an area like Katmai. It's the big leagues up there! A rare genetic variation of a red fox, called a "cross fox." 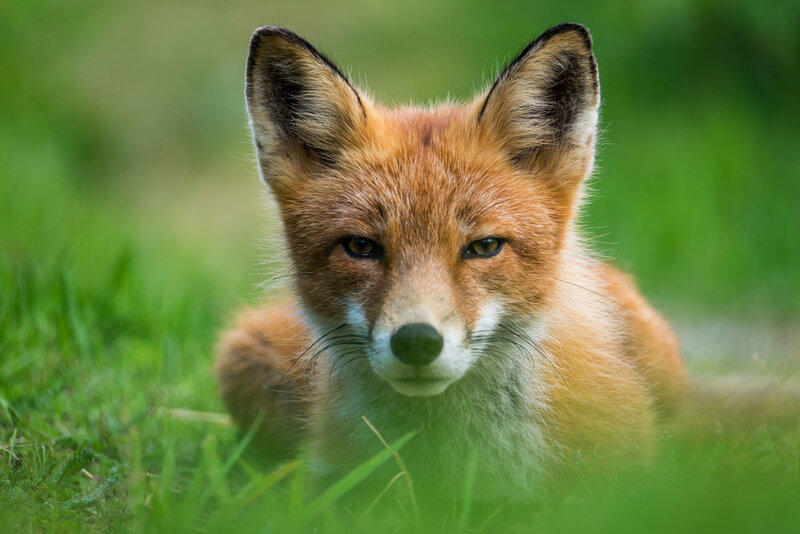 A "Cross Fox" is a genetic variation of a red fox that can be found in Katmai, it has a black face with white speckles in its fur. 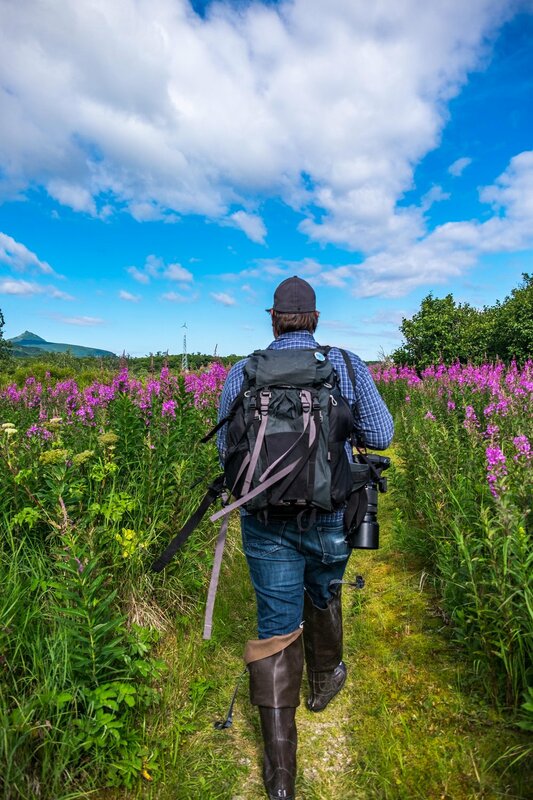 Homesteading was legal in Alaska until 1984. Anyone could just walk onto any piece of land and declare up to 160 acres theirs (it was 320 acres before 1903) as long as they filed the paperwork and had the transaction approved. Can you imagine...just choosing your land and building a life there? Amazing. A film still from Werner Herzog's 2005 documentary film, Grizzly Man. Timothy Treadwell, also known as "Grizzly Man," lived and died in Katmai. He was made famous by the 2005 Werner Herzog documentary film of the same name, Grizzly Man, which documented Treadwell's life in the wilds of Katmai National Park and Preserve, where he lived in a tent somewhat illegally for 13 summer seasons. 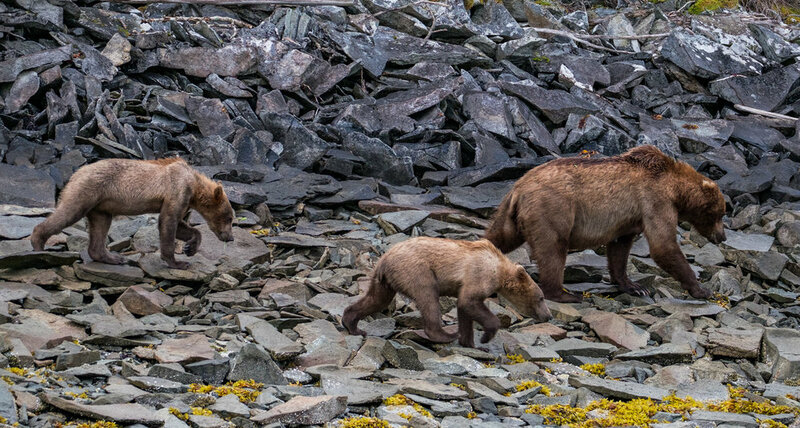 His objective was to get close to the coastal brown bears who lived in the area. During the course of three years he documented his time in the bush getting to know the bears, detailing their interactions on film. Over time, he began to think of them as kin as they had appeared to have accepted him into their habitat. 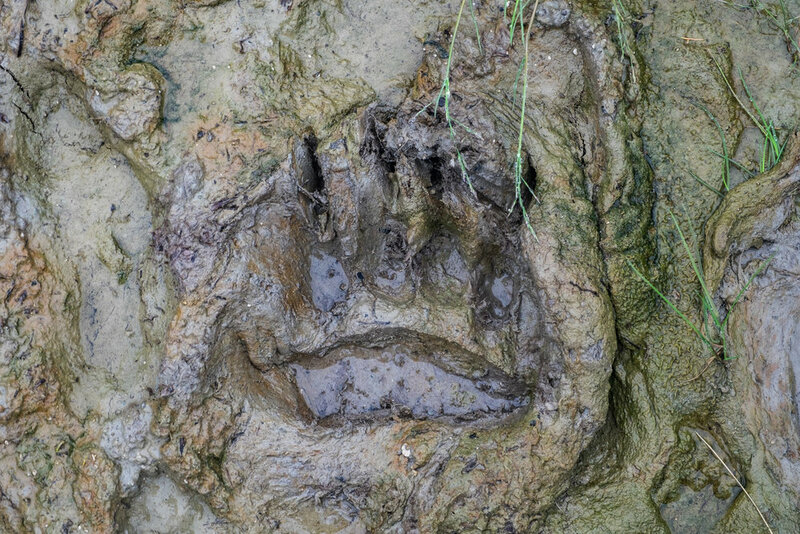 From what we understand after talking with locals who lived in the area and knew Treadwell, he blurred the line between human and wildlife too much, a mistake that ultimately proved to be fatal... In the summer of 2003, he stayed late into the season during a year when food resources were scarce rendering the bears desperate for food as they neared hibernation. 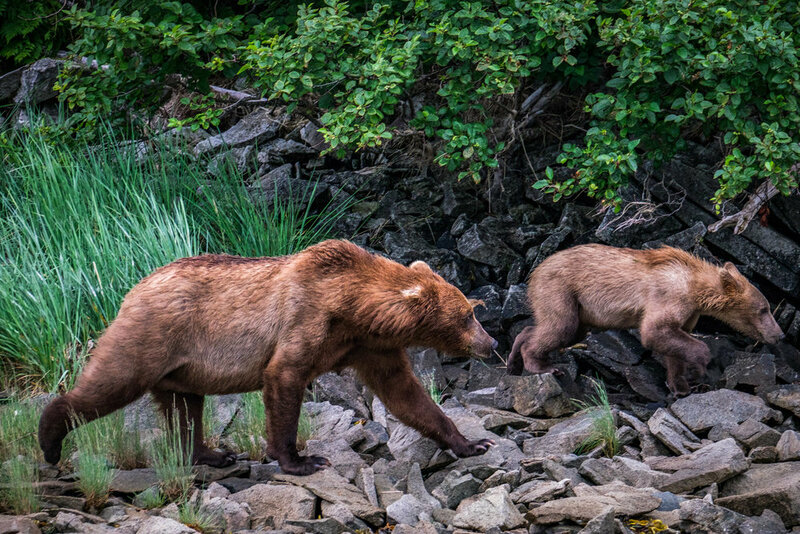 Timothy and his girlfriend Amie were killed in 2003 in Katmai, both mauled to death and partially eaten by a bear. A local bush pilot who was flying in to pick up Treadwell at the end of the season didn't see his gear stacked up in the bay as he normally had it... the pilot told us that he "knew immediately that something was wrong." He did some low-to-the-ground passes and saw the partial remains of two humans in an area (not far from where we stayed at the Katmai Wilderness Lodge. 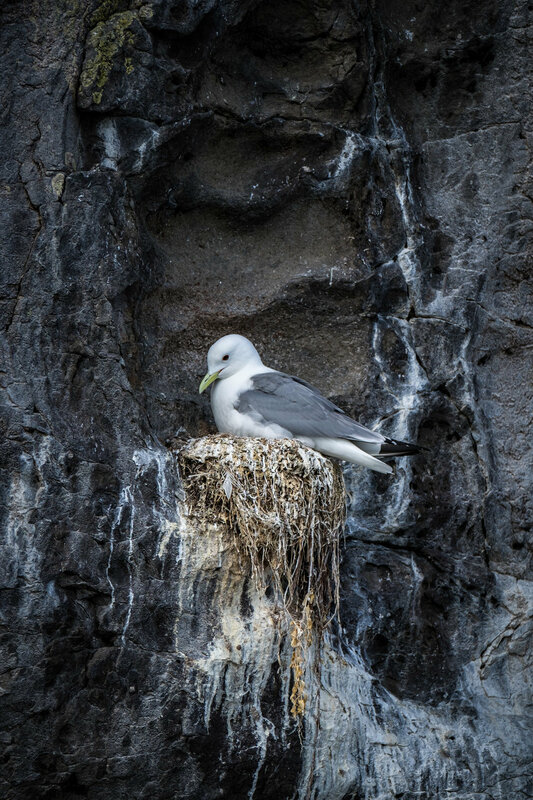 It's a most tragic cautionary tale and a reminder that wildlife, no matter how seemingly accepting of humans in their environment, are still wild animals and will do what is needed to survive.